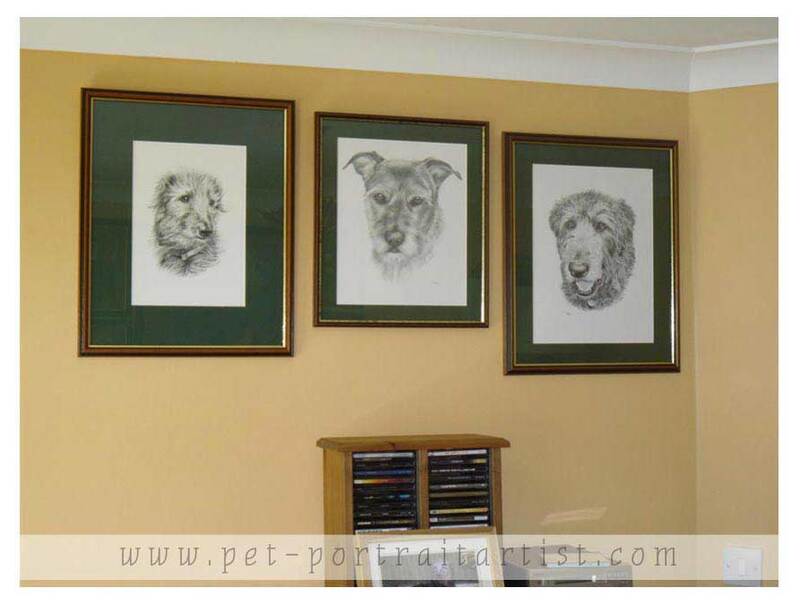 I have been drawing Shirley's dogs for many years and you can see them all framed and matching in the photos below. 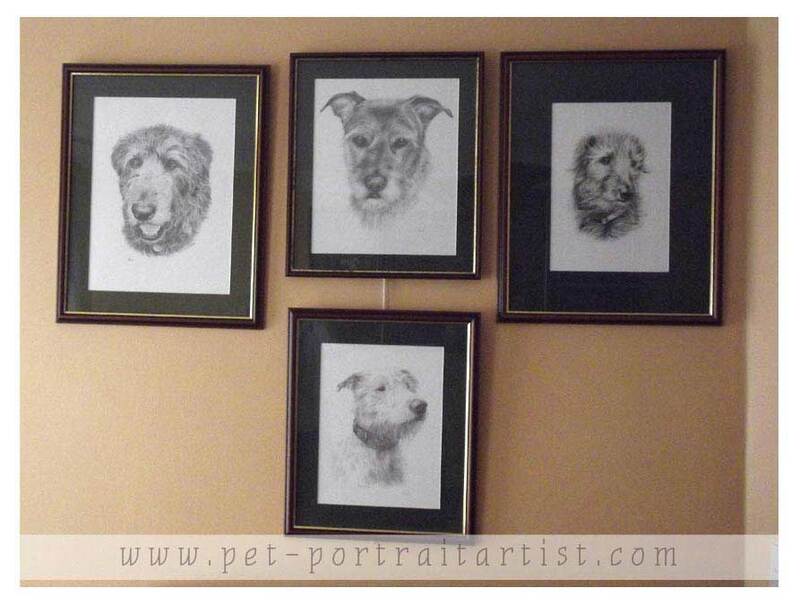 I have been drawing each one over the last 15 years and Shirley and Kev are getting quite a gallery in their home now! The portrait of Pickle arrived this lunch time. Blimey it was well packed. We were both speechless when we saw Pickle. It is brilliant yet a gain. Shall get it framed and match the other's, and shall take a few photographs and send them on to you. 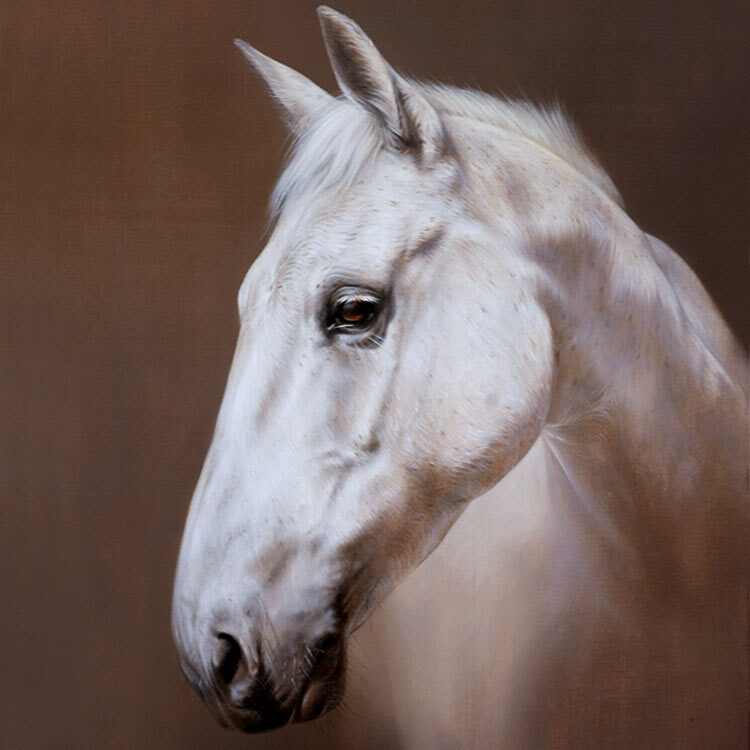 Thank you again for an outstanding, brilliant portrait. We are running out of wall space. Will be trying to take some decent photo's of Flo-Jo in the next few days. 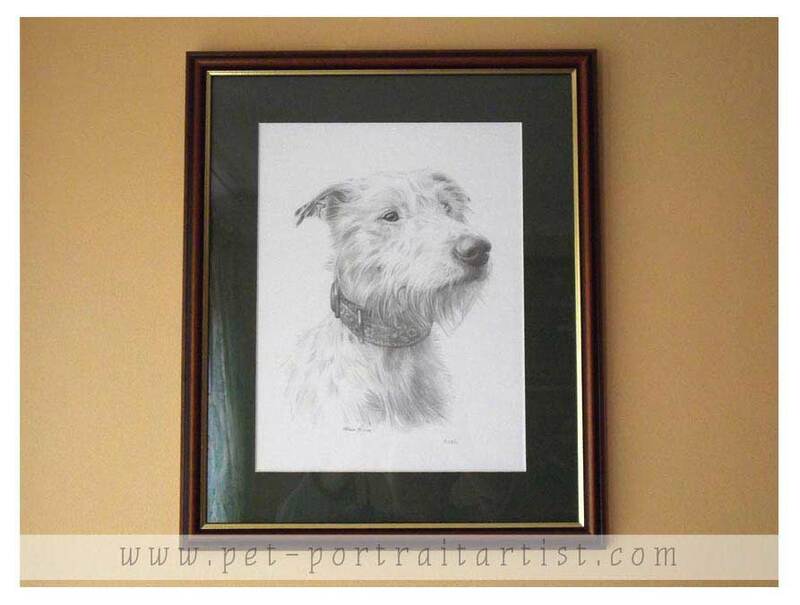 We would like another pencil portrait please. Shall be in touch, and shall let you know when we shall venture down to SUNNY Wales!!. 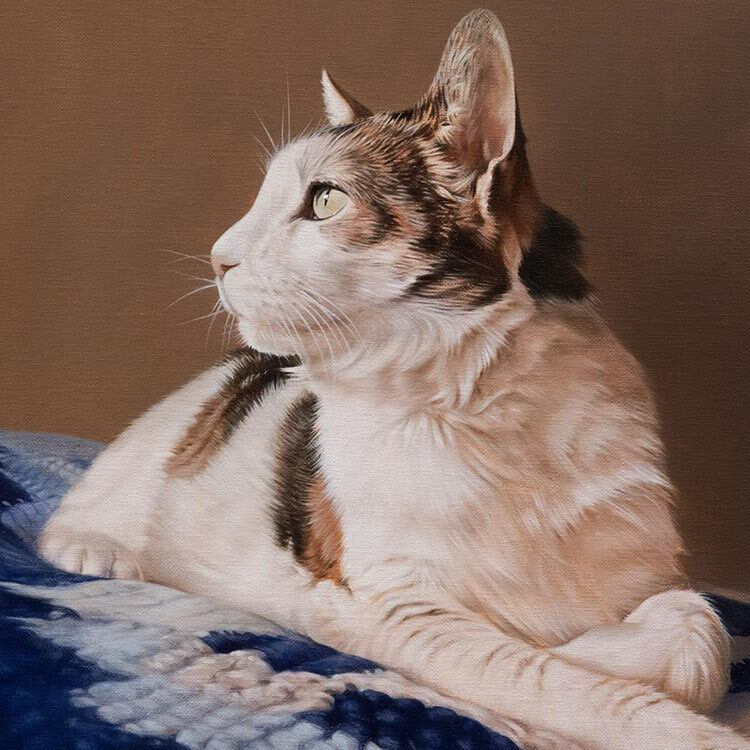 Thank you yet again for a "wow" portrait of Pickle. We are slowly running out of wall space. All for now, Shirley, Kev & Flo-Jo. Love the drawing (of Parker) and we look forward to receiving the drawing. You have done a excellent job as always. Hello Melanie, Glad to hear the photo's of the dogs arrived safely. They do look good all mounted and framed, and they match!! At the moment the sun is shining, hope it lasts.